3ds is a bit costly for independent and hobbyist Farming Simulator modders, but if you have a license for 3ds Max, you can’t go wrong with it. 3ds Max is the old standby of 3D digital content creation (DCC) for video games. Though its popularity has waned a bit in recent years, Autodesk’s old soldier still commands an impressive segment of the professional DCC market, especially as it pertains to the video game industry. You can download a 30-day trial from Autodesk’s website if you want to test it. 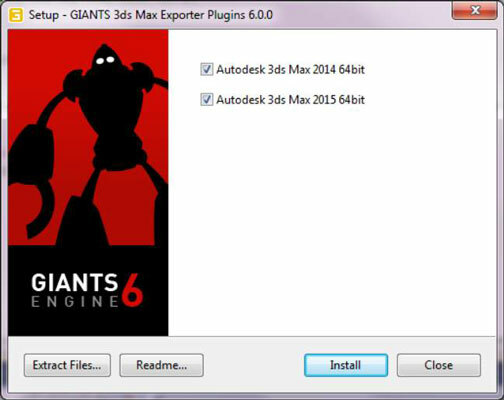 GIANTS Software has an installer that dramatically simplifies the process of getting the I3D exporter plugin to work in 3ds Max. You can find the installer in the sdk folder where Farming Simulator is installed on your computer (or your Downloads folder if you got the latest version from the GDN). The file name of the installer should be something like max_i3d_export_6.0.0.exe. The installer should be able to find where you’ve installed 3ds Max on your computer and provide a checkbox to ensure that’s where you want the plugin to go. Click the Install button. 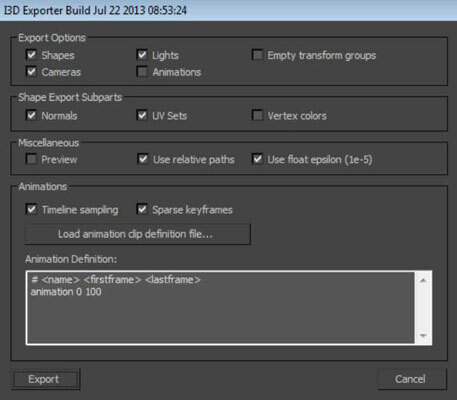 When the installation is complete, you can start or restart 3ds Max to use the exporter. The exporting process for 3ds Max is very straightforward. 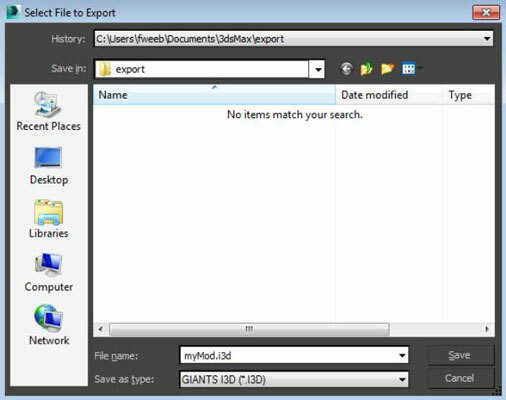 Click on the Max button in the upper-right corner of the window and go to the Export menu item. You can either export the whole scene or just export the current selection. Which one you choose depends mostly on the nature of your mod. If you’re not sure, just choose to export the whole scene. After you click Export, 3ds Max produces a file browser dialog for you to pick where on your hard drive your scene should be exported. Navigate to the folder of your custom mod and type in a name for your file. You need to choose the GIANTS I3D (*.I3D) option from the Save as type drop-down menu. After you pick where to export and set the file type to I3D, click the Save button. Another dialog opens with a series of options for controlling how your scene is exported. In the simplest cases, you can keep all options at their default values. When you’re satisfied with the settings in the exporter dialog, click the Export button to have an I3D file ready for opening in GIANTS Editor.